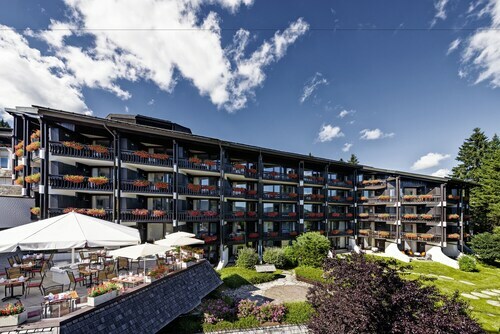 Situated in the mountains, this hotel is 0.8 mi (1.3 km) from Ski Arena Spießhorn and within 6 mi (10 km) of Feldberg Ski Resort and Dom St. Blasien. Situated in St. Blasien, this guesthouse is 5.7 mi (9.2 km) from Dom St. Blasien and within 12 mi (20 km) of Heimatmuseum Resenhof and Radon Revital Bad. Ski Arena Spießhorn is 12.1 mi (19.5 km) away. 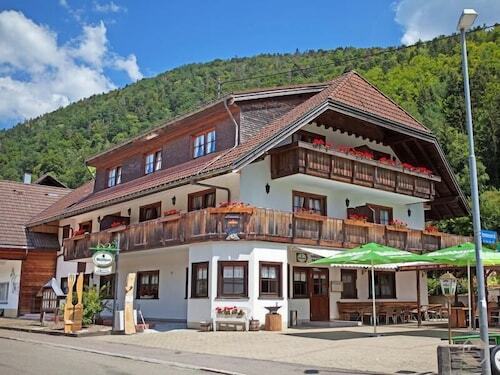 Situated in the mountains, this apartment building is 0.8 mi (1.2 km) from Radon Revital Bad and 1.3 mi (2 km) from Ski Arena Spießhorn. Feldberg Ski Resort and Heimatmuseum Resenhof are also within 6 mi (10 km). Situated in St. Blasien, this hotel is 0.1 mi (0.2 km) from Dom St. Blasien and within 9 mi (15 km) of Heimatmuseum Resenhof and Radon Revital Bad. Ski Arena Spießhorn and Museum Husli are also within 12 mi (20 km). How Much is a Hotel Room in St. Blasien? Hotels in St. Blasien start at $48 per night. Prices and availability subject to change. Additional terms may apply. 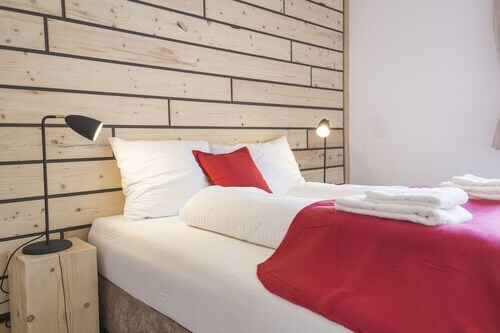 If you are dreaming about traveling to Southern Black Forest and are searching for the perfect place to stay in St. Blasien, you'll find a wonderful range of options. Modern travelers using Travelocity can research about 15 excellent accommodations within a 6-mile (10-kilometer) radius of St. Blasien's heart. 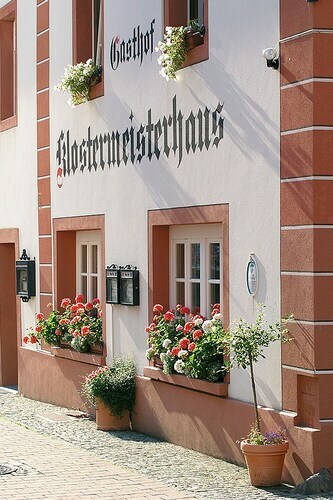 The Hotel Großbach is closest to central St. Blasien and the singular hotel that is located within a short drive. The Wellnesshotel Auerhahn is positioned 4 miles (6 kilometers) away from the middle of St. Blasien. Another hotel is the Parkhotel Adler, which is approximately 8 miles (13 kilometers) away. 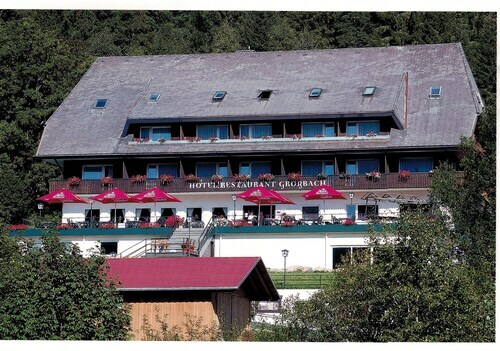 Other Travelocity-listed hotels include the Vier Jahreszeiten am Schluchsee and the Breggers Schwanen Hochtal SPA. Like to move a little out of the center? Baden-Wuerttemberg is home to many beautiful attractions worth checking out. Familiarize yourself with Baden-Wuerttemberg's castles and don't forget to photograph the area's rivers and streams. Modern travelers in this section of Germany will enjoy snowboarding. 19 miles (31 kilometers) away from St. Blasien, you can find Freiburg, where you can find Schlossberg and University of Freiburg. If you'd like to spend a few nights in Freiburg, check out the Best Western Premier Hotel Victoria and Hotel Oberkirch. 20 miles (36 kilometers) to the southwest of St. Blasien, you will reach Loerrach, which features the Hotel JFM and Hotel Restaurant Krone. The Dreilandermuseum Loerrach and Burghof Loerrach are some of the most popular points of interest to see in Loerrach. Simply because you and your family are far from home, does not mean that you shouldn't expand your love for a day watching sports. Find Moslestadion 17 miles (27 kilometers) to the northwest of St. Blasien. Sports fans that hope to find a room close to the stadium should check out the Central Hotel or the Hotel Barbara. EuroAirport can be found 30 miles (47 kilometers) from the town center of St. Blasien. 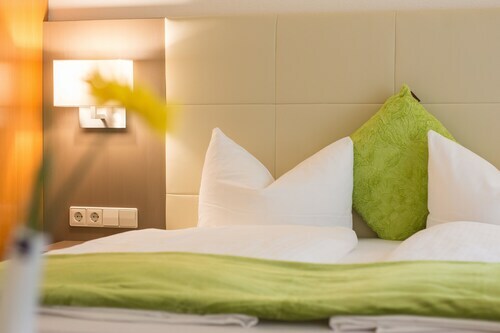 Enlightened travelers who hope to find accommodation in the area can easily secure a room via Travelocity at the Airport Hotel Basel or La Villa K & Spa. The location by the trains d tram stations is convenient but noisy if you want a window open. After 2 nights I adjusted to the train noise. The hotel did not change our sheets over a two week period and I found that odd. Good location close to the tram in the older sector of the city. Staff very friendly and helpful. Nice basic but very clean hotel. 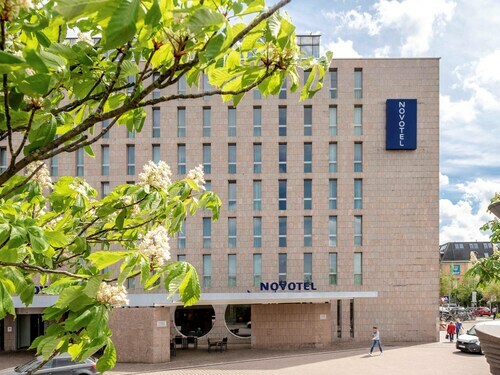 Excellent hotel, well located several blocks from bahnhof. Friendly and attentive reception staff and entire hotel staff. The beautiful breakfast buffet is a real plus. Parking is extra at a covered garage downstairs in the building. The big fruit bowl is always welcome. Amazing hike behind hotel. Great breakfast! Only bad thing - no AC. Room was over 85, until about 2am. Convenient to rail station, street cars and the old city, next to the Konzerthaus convention center. Service is excellent. The major downside is the exhorbitantly priced breakfast. You can do better walking 1-2 blocks to a bakery or coffee house.